Located near the city centre, Canterbury test centre can be found on the bustling New Dover Road. Though small in size, this test centre has plenty of challenges up its sleeve. If you’re heading here for your practical, be sure to get to know it better before your big day. To help you out, we’ve put together a guide covering directions, pass rates, test routes and much more. 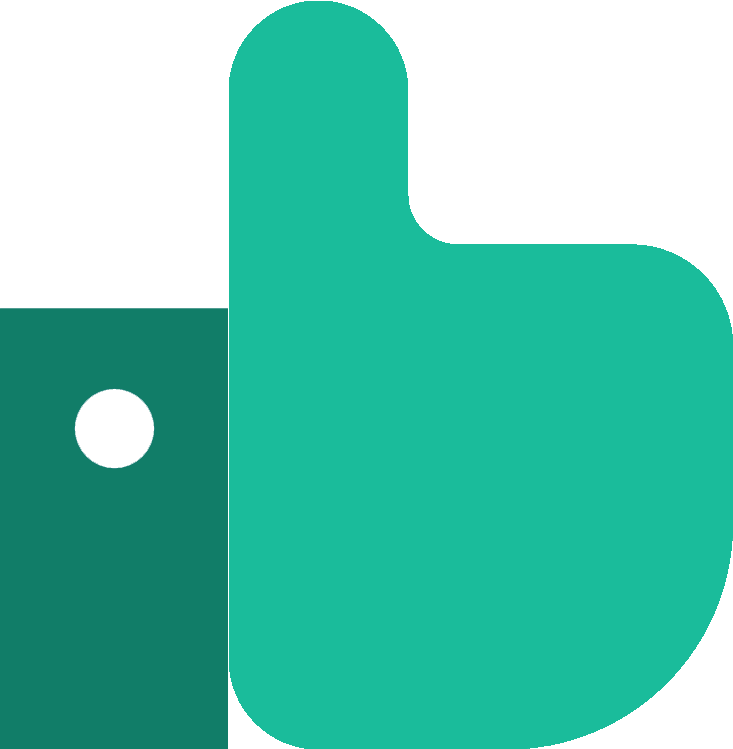 Canterbury test centre is in the vicinity of both the A257 and the A28, making it an ideal and accessible option for learners located in Canterbury. If you’ve not had the chance to visit the centre yet, follow these directions to get there with little to no fuss. Please be aware that parking is limited, so make sure you don’t get there too early, or you’ll get in the way of other candidates on their test. Though you might not think it, the location of Canterbury test centre was chosen carefully. Why? 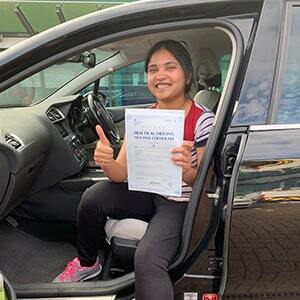 In order to put learners through their paces and truly test their driving skills, test routes need to incorporate a varied amount of road types and challenges. Canterbury is ideally located near busy A roads, the hectic city centre and other quieter areas to round it off. Want to know more about Canterbury in general? Take a peek at the links below. Although the DVSA no longer publishes up-to-date test routes, you can still get an idea of what to expect by checking out videos of Canterbury test routes on YouTube or by downloading our sample Canterbury driving test routes. You’ll also get some hands-on experience with the local roads on your lessons with your instructor. They will have you refining your skills on multi-lane roundabouts, tricky junctions and much more. You’ll be a pro in no time at all! 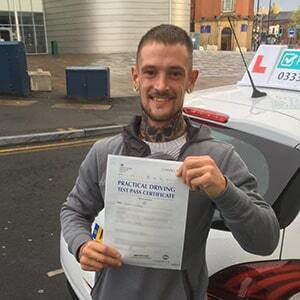 Pass rates have been a source of interest for many PassMeFast learners, which is why we compiled our very own guide to driving test pass rates. By doing so, we found that the national average pass rate for those in the UK is 47%. As for those at Canterbury test centre, check out the table below. Though Canterbury’s pass rates have mostly rested below the national average, we’d urge you not to worry too much if you’re heading there for your test. Why? Pass rates don’t affect your chances of passing. Even if you headed to a test centre with the highest pass rate in the UK, there’s no such thing as a guaranteed pass. Just keep a clear head, practice and try your hardest. What If I Can’t Go To Canterbury? There’s a wide selection of practical test centres on offer in the Kent area. If Canterbury isn’t an option—or you’re looking for a backup—your closest options are Herne Bay and Folkestone. Once you get back to Canterbury test centre, your test will finish. The examiner will then let you know how you fared. Regardless of the outcome, they’ll hand you a feedback sheet detailing any faults you made, along with additional verbal feedback. 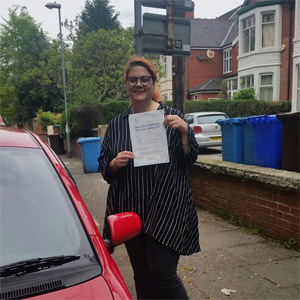 If your hard work paid off, you’ll also get your hands on a flashy test pass certificate to show off to your friends and family! Although it might not feel like it at the time, failing your driving test isn’t the end of the world. The examiner gives you a feedback sheet for a reason—to help you work on your weakest areas. Once you’re ready to try again, take some additional tuition and get booked in for your next test. If you don’t want to bother with long waiting times, get PassMeFast to book you a fast-track practical test. To get things underway, contact us online or call us on 0333 123 4949. If hourly-long traditional lessons aren’t working for you, why not try an intensive crash course instead? PassMeFast’s courses can be taken intensively or semi-intensively in the Canterbury area, fitting entirely around your schedule. Our instructors will help you become a safe and confident driver ready to take the test in weeks or even days. To get started today, take a look at our course prices page to see what courses we offer—and don’t forget to select your transmission of choice! You can then book in online, or over the phone on 0333 123 4949.